A boost in New Mexico’s land grant fund has sparked a race for educational funding that could include a statewide ballot measure for increasing early education initiatives. New Mexico’s general fund will see a $107 million increase this year, with the bulk of the growth coming from the state’s oil and gas school tax and revenues from federal mineral leasing, according to a new report. The state’s share of oil and gas production taxes and royalties has jumped nearly two percent in the past fiscal year, with the state’s general fund drawing $1.74 billion. More than half of that is headed to the state’s educational system. Estimates from the New Mexico Oil and Gas Association put $934 million of the $1.74 billion this year from natural resource production revenues into education. Approximately $711 million will go to public schools, with the rest tapped for higher education spending. In Eddy and Lea counties, part of the state’s oil-rich Permian Basin, roughly a third, or $56.4 million, of the public school budgets can be attributed to taxes from extraction operations, according to analysis from the New Mexico Tax Research Institute. Each year under current law, 5 percent of the Land Grant Permanent Fund’s holdings are distributed to the state’s public schools and universities. The remainder is invested by the state, which earned a 12.9 percent return for FY 2017. The land grant fund was established after New Mexico’s statehood in 1912, to collect funds from oil and gas production. 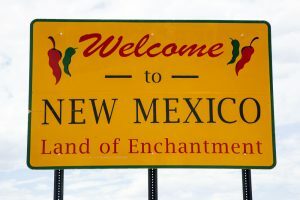 The increase has spurred a call by New Mexico Democrats to increase the state’s allocation of land grant fund revenues to public schools from five to six percent annually with a November ballot measure for early education programs for young New Mexicans. House Joint Resolution 1 passed out of the House Education and House Judiciary committees. The Santa Fe New Mexican reports the ballot measure is likely to emerge from the House, but the fate of the increase—about $140 million extra in its first year—is uncertain in the State Senate, where bipartisan support may exist to block the effort. Opponents say tapping the fund for additional immediate revenues would deplete the fund. The New Mexico legislative fiscal note attached to HJR1 shows a nearly $3 billion decrease in land grant fund value by 2031 with the added one percent annual draw-down. “When the money runs out … this is all we will have to rely on to fund schools,” Rep. Dennis Roch (R-Logan), told the New Mexican. According to Roch, the land grant fund acts as a sort of rainy day education fund when annual oil and gas tax revenues and royalties begin to diminish. “Regardless of where you live, New Mexico’s oil and gas industry is supporting your local schools and communities, and we can all be proud of our place atop the national stage in energy production,” Ryan Flynn, Executive Director of the New Mexico Oil and Gas Association, said in a statement. Top billing in production should have lasting potential, according to Flynn. This week the New Mexico House passed a preliminary $6.32 billion budget that includes a 3.9 percent spending increase for the next year, due to the jump in oil and gas-related income. That includes $62 million more for teachers. Thanks to expanded operations and production in the state’s Permian Basin, New Mexico is now the third highest producer of crude oil in the country, behind Texas and North Dakota, according to the Energy Information Administration, producing 16.4 million barrels in October 2017. The state is the ninth highest producer of natural gas. In August 2017, New Mexico’s State Investment Council (SIC) reported that the state’s permanent funds, the land grant fund and the Severance Tax Permanent Fund (STPF), saw a $2.1 billion increase in the fiscal year ending last June, a 10 percent year-over-year jump, to $22.3 billion. The two funds account for 95 percent of the state’s permanent funds, and derive revenues from mineral leases, royalties, and other taxes on oil and gas production. New Mexico benefits from production on federal lands as well, earning nearly half of the $170 million in the state’s federal quarterly lease sales on Bureau of Land Management parcels in 2017, helping to drive nearly $350 million in lease sales for the year across the West. New Mexico’s oil and gas-related methane emissions have dropped more than 50 percent in the last year, according to state regulators last October. Tracking and compliance from operators drove those emissions reductions, New Mexico Energy, Minerals and Natural Resources Department Secretary Ken McQueen said. Holding back further development—and more revenue—are excessive permitting wait times and permitting backlogs on BLM-held lands. Those delays cost the state about $2.3 million per day in deferred royalties, Robert McEntyre, NMOGA’s spokesman, said last fall.